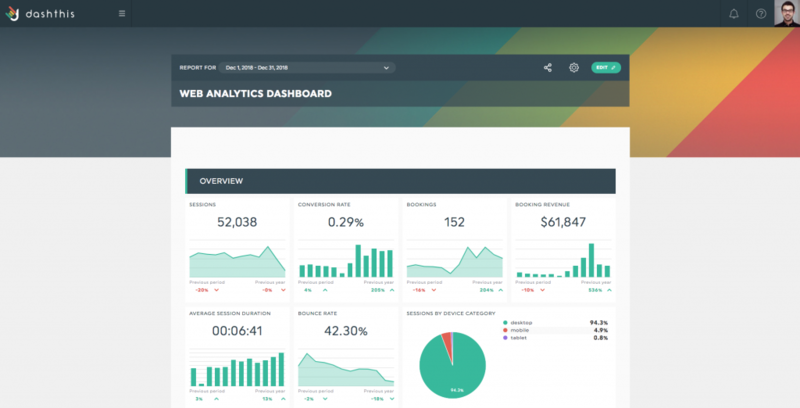 What 5 KPIs to have in a content marketing dashboard? One question that is frequently asked is what to track when it comes to your content marketing dashboard. The question here should be, what really matters? We could track so many things like organic search or pageviews per visit. But what if you had to present only 5 content marketing KPIs that matter most to your boss? You know, the KPIs that would give him the bottom line: does content marketing help us do more / better business? Let’s be honest. We do content marketing to generate business. We do this because we want to distinguish ourselves from the competition. We want to attract visitors and catch their eye. Does it work? Great content marketing should come with a call to action. Measure this call to action’s conversion rate. Ultimately, we want all our content to convert into sales. And that’s why your content performance should be included in your monthly sales report. Tag your visitors consuming content using custom variables or custom dimensions and then check if they buy your products or services. You can even compare this against another segment, like Paid Search Traffic. Is your content good? If it were, then it would be shared. Track shares or likes on Facebook, LinkedIn, Google+ or Twitter. Tracking the number of followers / fans is a good long term indicator as well. Inbound links are what we all care about the most. Having several other blogs or website linking to specific content is like Christmas. This gives us credibility towards search engines. How many visits do you have from referral traffic? In short, track your content marketing strategy in terms of business objectives in your KPI report, and you’ll be making the most of your content in no time! This entry was posted in Dashboards and tagged General. How to create a social media dashboard for Facebook, Twitter, and Youtube?